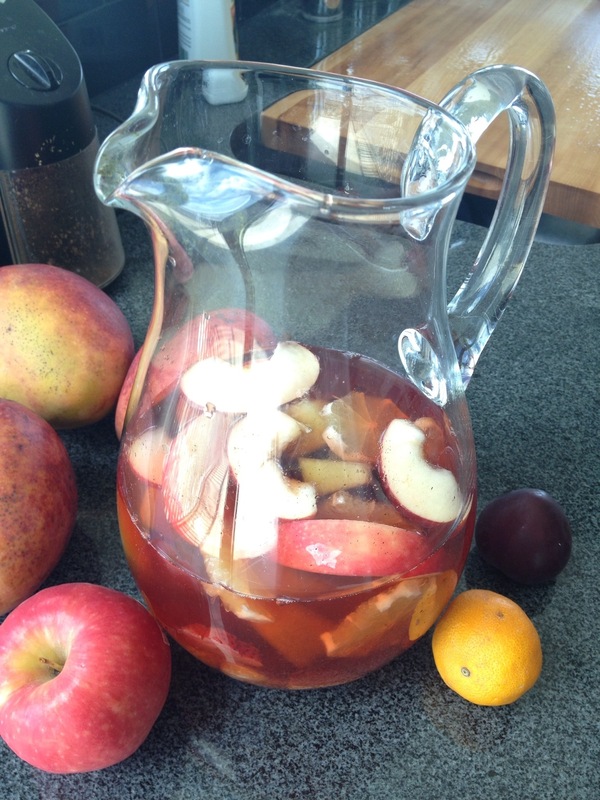 I stumbled upon a great way to make wonderful iced tea & sangria all in the same pitcher. First, the iced tea: double concentrate blueberry and pineapple herbal teas (Teavana makes samples often of this mix at their stores) add German rock sugar, soak a few hours with some sliced strawberry and you’ve got a killer start to your afternoon (add sliced fruit to the pitcher before you serve). Secondly: the sangria. Add red sangria to the pitcher and let settle overnight. The sweeter the red sangria the more your cocktail will taste like a watermelon jolly rancher. Tea: brew 2 batches of pineapple and blueberry loose leaf tea in a 16 oz mug or thermos with boiling water for 6 min first batch, 8 min second. You are reusing your 3tsp of each flavor (6tsp total of tea) once. Add 8 tsp German rock sugar to your double concentrate hot tea (4 tsp to each batch). Use a decent sized pitcher to mix the rock sugar and hot tea. Add three big thinly sliced strawberries and let sit for a few hours in the fridge to cool. Before serving add: a cup of cubed honeydew, 1 sliced ripe plumb, half a sliced honey crisp apple, all the segments of a small tangerine, 1 entire sliced lime and pour over ice. Should make 4 generous servings. If you plan to finish it all in one sitting let the tea sit in the fridge for 2 hours. Give the fruit some time to absorb the tea’s flavor. 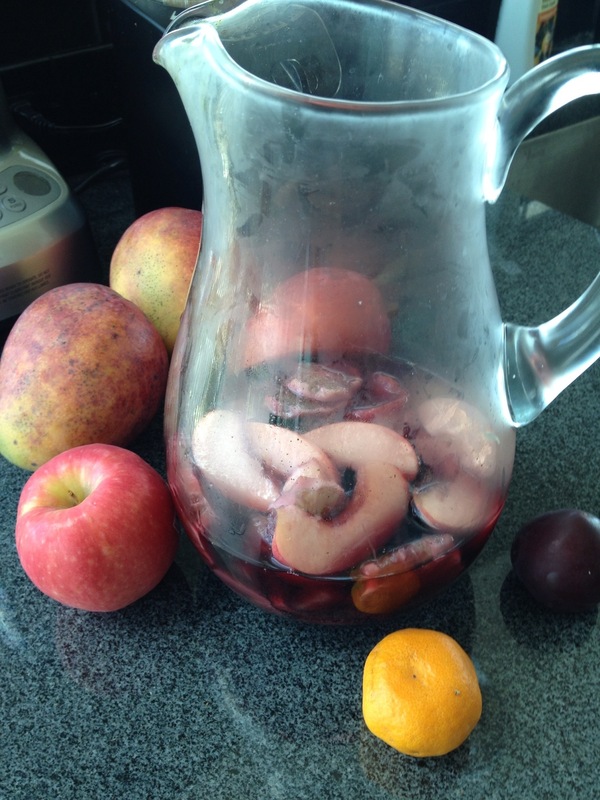 Sangria: add half a bottle of red sangria to the empty pitcher that still has all the fruit in it and chill 24 hrs. Pour yourself a glass after a day, if you used sweeter sangria (I used cheap Coopers Hawk red), your mix will taste like a jolly rancher. Fun. Hi, my name is Paul. This is a sister site to The Motivated Life.com. That site is the headquarters for my book and my free app. 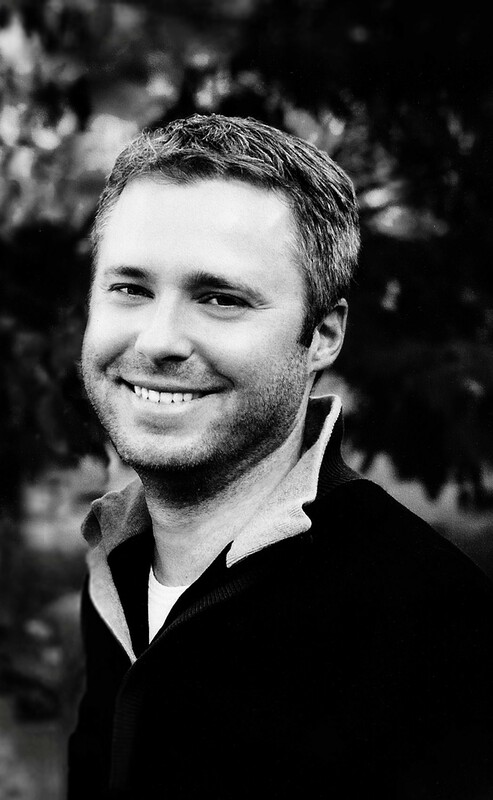 If you want to understand the dark side of drive (and motivation) click that link. 25,000 people can't all be wrong. This site is more personal, less formal, and not too serious. Take a look at the menu for more information about me and what I do.